Hailing from Bray in Co. Wicklow are Saoirse Duane, Caoimhe Barry and Karen Cowley, an alternative/folk/pop/R&B/intriguing trio that go by the name Wyvern Lingo. Already having played major festivals such as Electric Picnic and Knockanstockan, they have just independently released their second EP ‘The Widow Knows’. The EP comes to life with the title song, ‘The Widow Knows’. Our attention is seized by the soulful harmony that blasts out and insinuates a gospel choir tune. Our ears startle in curiosity. Then, a, dare I say funky, guitar composition begins. Blissful violin and celestial voices pour out. It has all come together – as one certain, satisfying song. It is feel-good. It is catchy. As well as being my own personal favourite, it is a winning introduction to the sounds of Wyvern Lingo. ‘Fairytale’ is full of a sultry flow. Piano, violin and guitar dive in and out of one another powerfully, creating a tremendous, seductive rhythm that has the body urging to dance. There’s a sense of escape and imagination. Our heads become lost in a world of waltzing and swaying – under the spell, absorbing every note. ‘Snow’ is thoughtful and intimate. While the other songs nearly roar, ‘Snow’ quietly delivers. It is beautifully composed and pensive, gentle and contemplative. There is a kind of solace to be found in this delicate track. ‘Tricks’, although with splendid components is a little unsure and less together than the previous songs. However, the splendid guitar strumming, uplifting piano and ravishing voices are certainly delightful. The vocal skill of this group dazzles in the final song. Their soaring voices give ‘Used’ a fuller sound. Even every hum delicately hits the air with a pleasant arrival. Their voices are so heavenly that it is comforting to listen. Lyrical depth is also plentiful. The poetic nature of this tune is impressive and we warm to this song much more easily, knowing it is full of honest emotion. ‘Used’ has assured us of what we knew all along – this trio have expert range and exceptional talent. ‘The Widow Knows’ is a mixture of sounds, ideas and genres. When you hear it once you will undoubtedly come back for more. 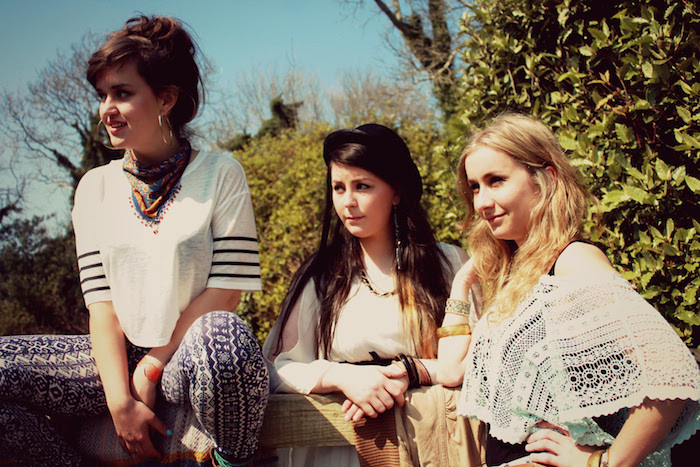 Wyvern Lingo have proven themselves as a gem of a group and exquisite musicians with this EP.